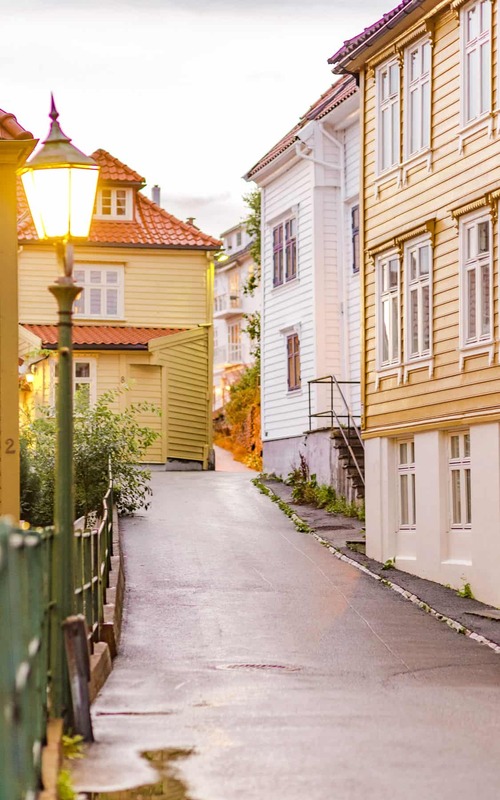 Bergen is a cute city located on the west coast of Norway. 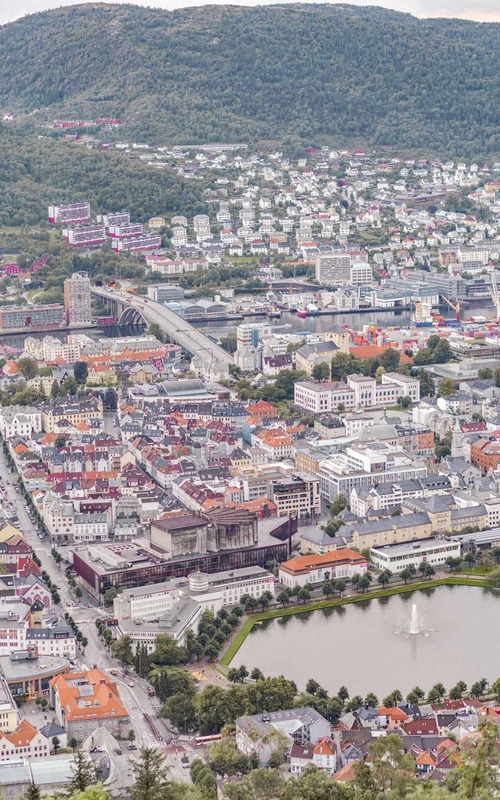 It is about a 7.5 hour drive from Oslo so while we flew into Oslo and drove the distance to Bergen, I would recommend flying directly into Bergen if you’re planning a visit. 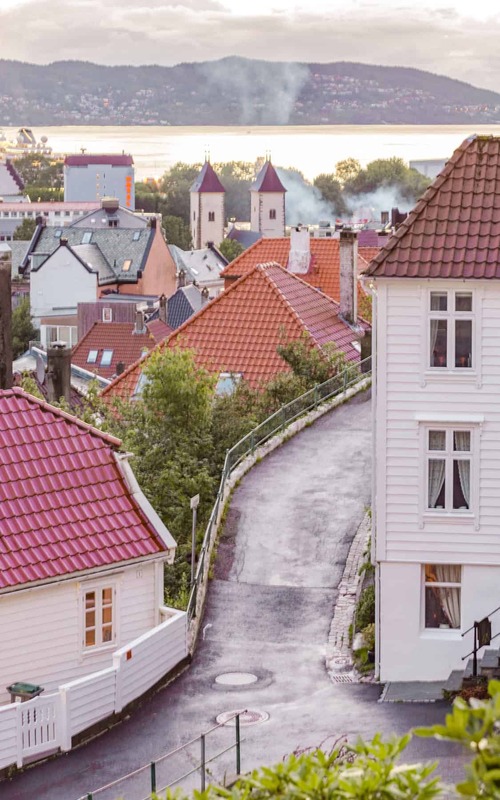 Bergen is 100% worth a trip if you’re in Norway but due to strict Norwegian road laws, I wouldn’t exactly recommend driving more than you have to. 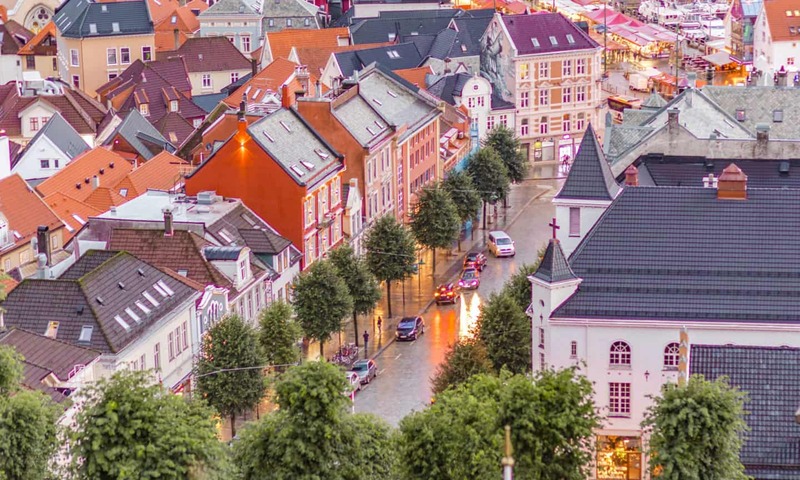 Bergen is located on the water and is a nice surprise if you’ve been traveling through Norwegian countryside. 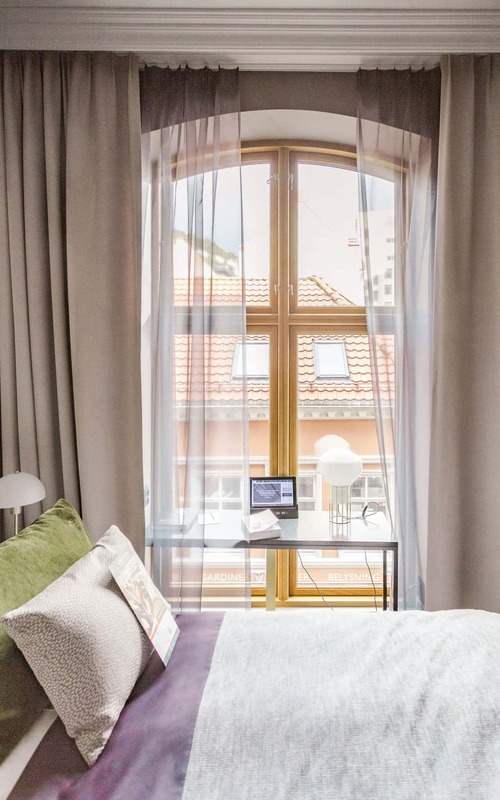 It’s colorful, active and has a nightlife yet it’s still full of the dramatic views you’ve grown accustomed to in Norway. 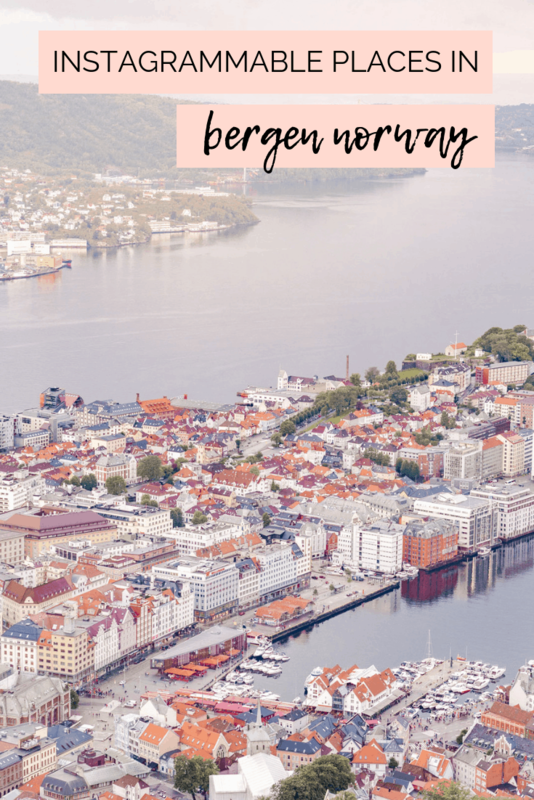 I found it extremely photogenic so I put together a list of instagrammable things to do throughout Bergen that I thought were fun to do and also made for great photos. 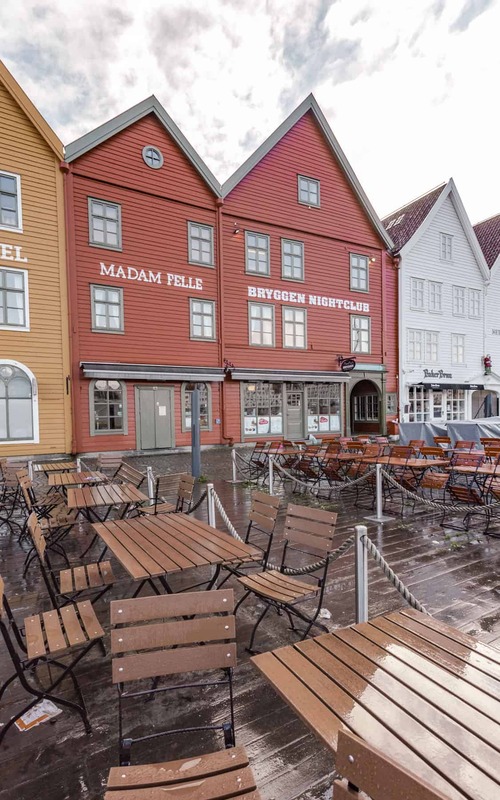 Planning to visit Bergen during winter? 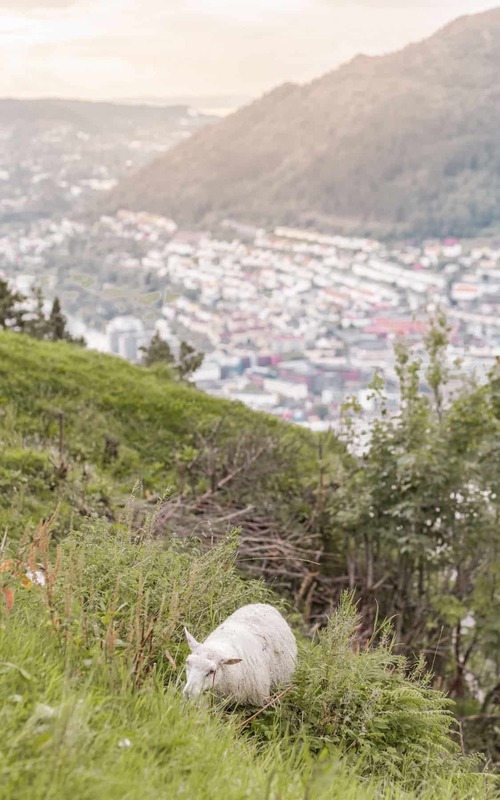 Consider adding a trip to Northern Norway and check out these guides: Northern Lights Safari Tips as well as Things to do in Tromsø Norway. 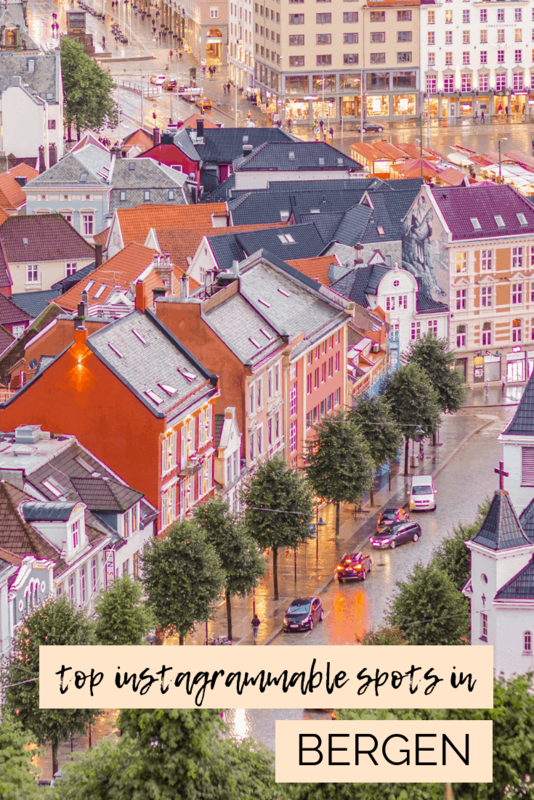 Also you might find this 2 week European itinerary (Scandinavia) helpful. And if you’re a hiking fan, be sure to check out the Trolltunga Hike as well as hiking to Bondhusvatnet! 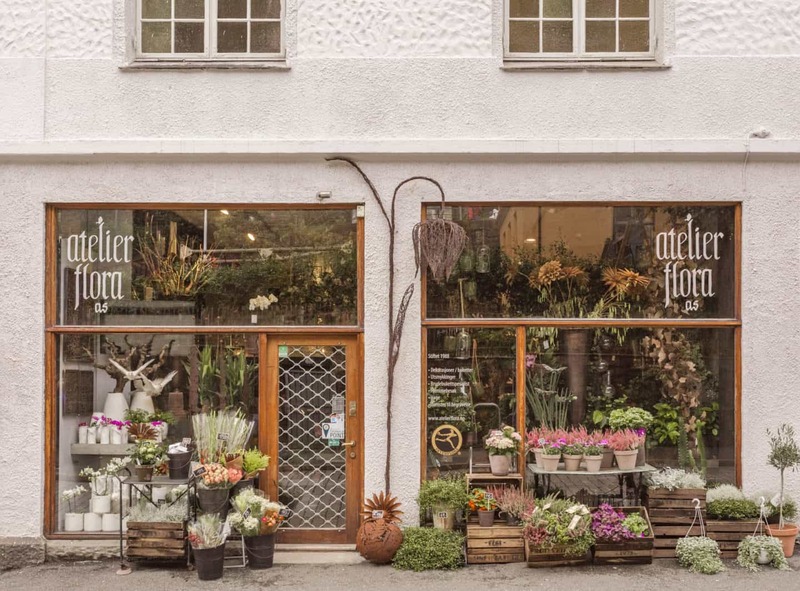 Flower shops – While Bergen doesn’t come close to London in terms of florals and beautiful flower displays to see, it does have two cute flower shops that you can browse through. 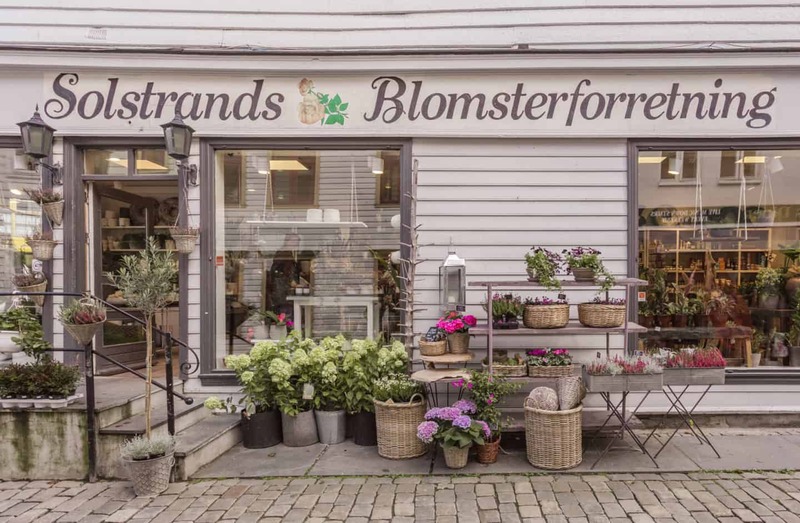 One is located within the city center (old town) where all the shops are while the other is located near the Fløibanen building. 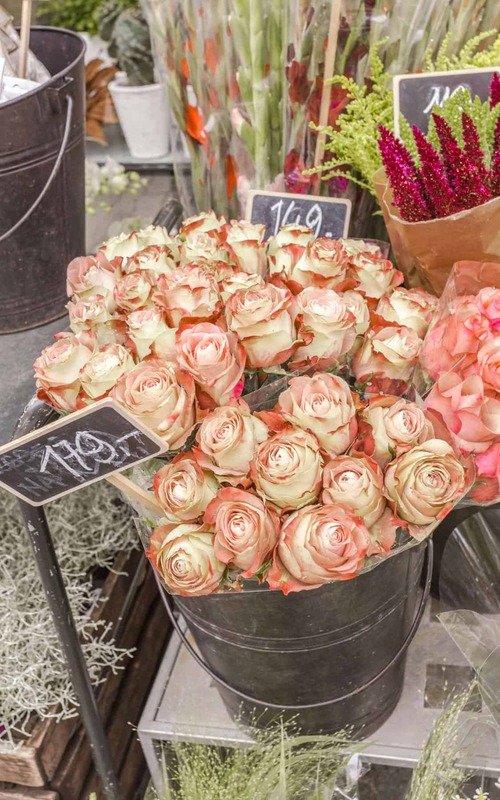 The shop owners do a great job decorating the exterior as well as the interior and if you’re needing some flowers to cheer you up (or to shoot with), then these are your go-tos. 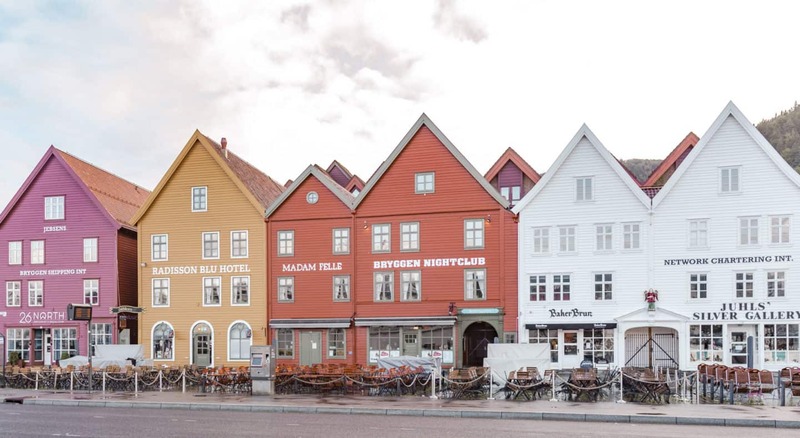 Bryggen – Perhaps the most famous and iconic shot of Bergen is the row of colorful wooden houses called the Bryggen. 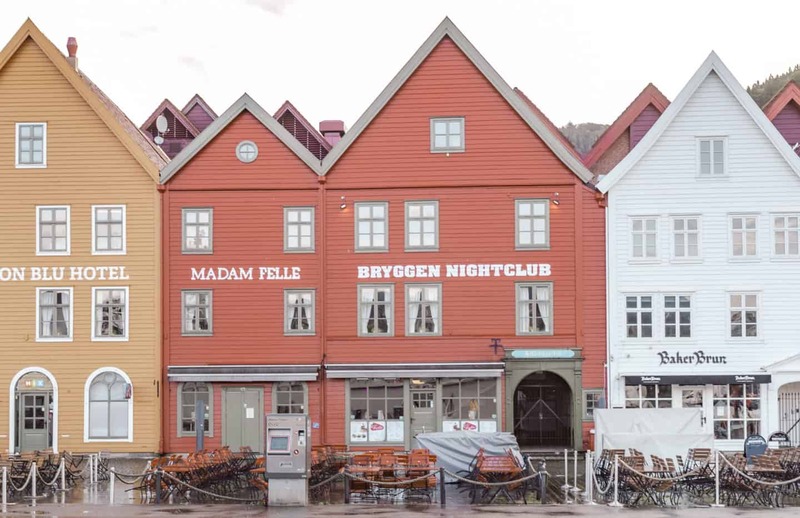 These buildings are actually sagging (and being constantly renovated) so if you take a walk behind them, you’ll notice that one of them even has a twisted staircase. 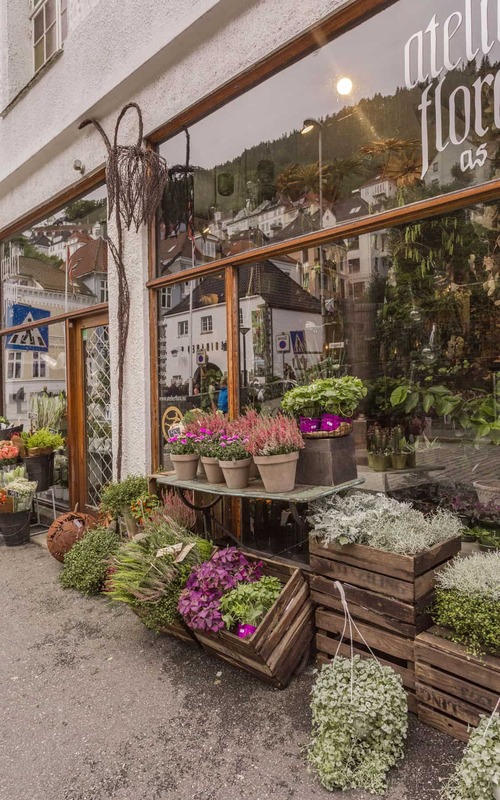 This part of old Bergen houses shops, cafes, a hotel and a night club. 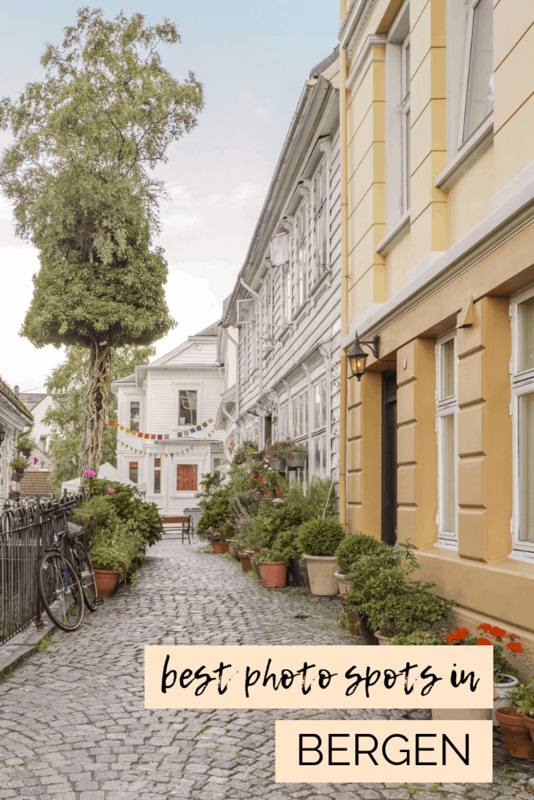 If you wander around back, you’ll come across cute little alleys! You can easily spend a few hours here between eating, drinking and shopping. 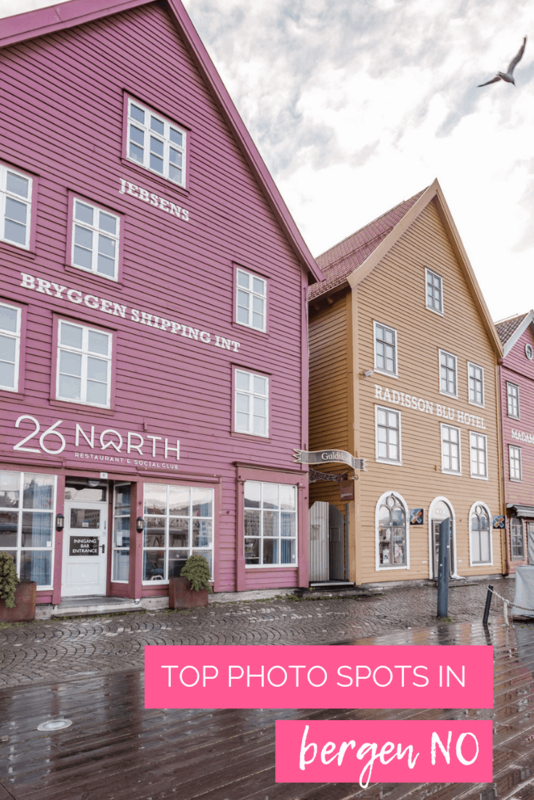 Harbour – The harbor of Bergen may not be the most photogenic in Norway (Tromsø was even more impressive) but it still deserves some time from your visit. You can grab food from the fish market or sit down at one of the many amazing restaurants. They each have well-covered areas where you can sit and enjoy views without freezing. As far as photos go, you can capture the harbour from several different angles: looking out over the water, looking towards the city, the boats, etc. Don’t be afraid to wander uphill into the residential areas to capture it from up top as well. 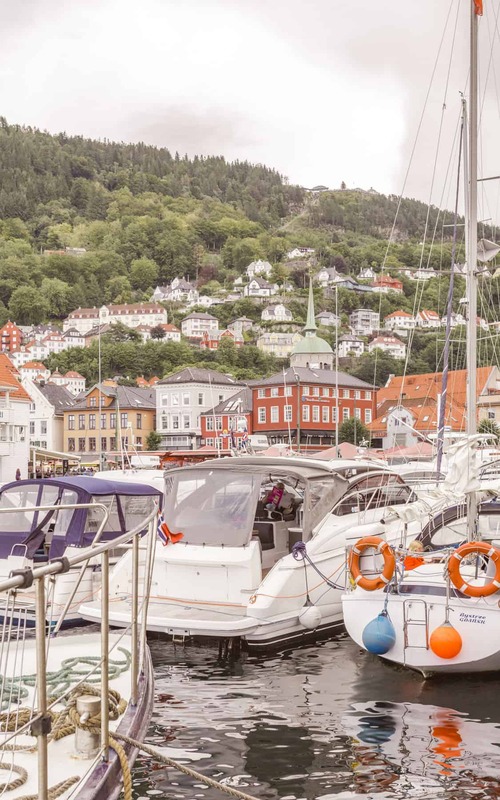 Did you know you can also take a cruise through the fjords? 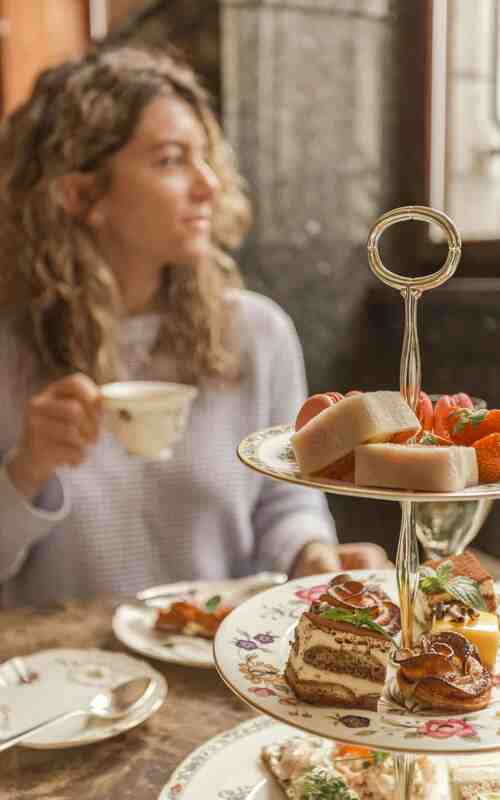 Opus XVI & afternoon tea – If you want to enjoy a slice of history, then head into Opus XVI*, a beautiful hotel that once housed a bank and has ties to the famous composer, Edvard Grieg. 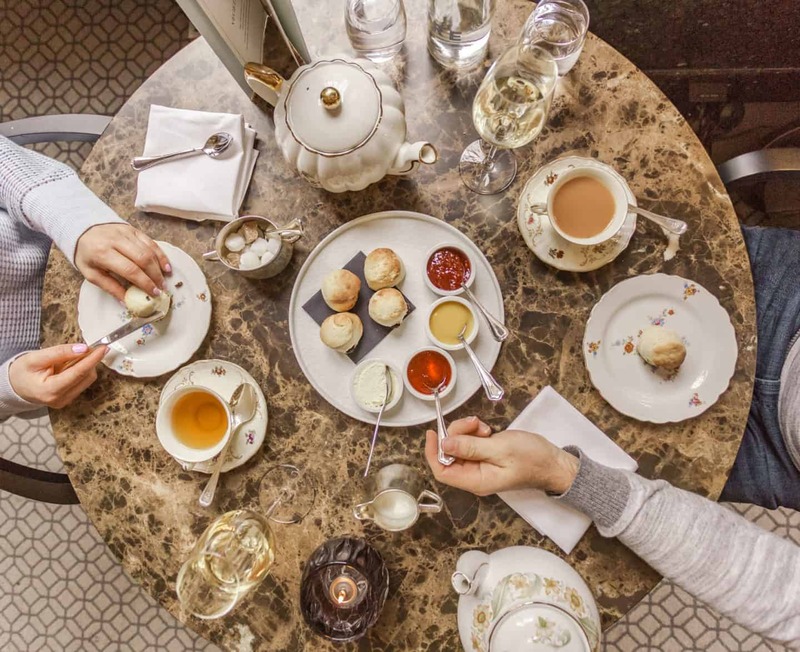 I would highly recommend their afternoon tea as you can grab a myriad of beautiful food photos (ask to sit near a window) and enjoy a relaxing few hours in the warmth and beauty of the hotel. 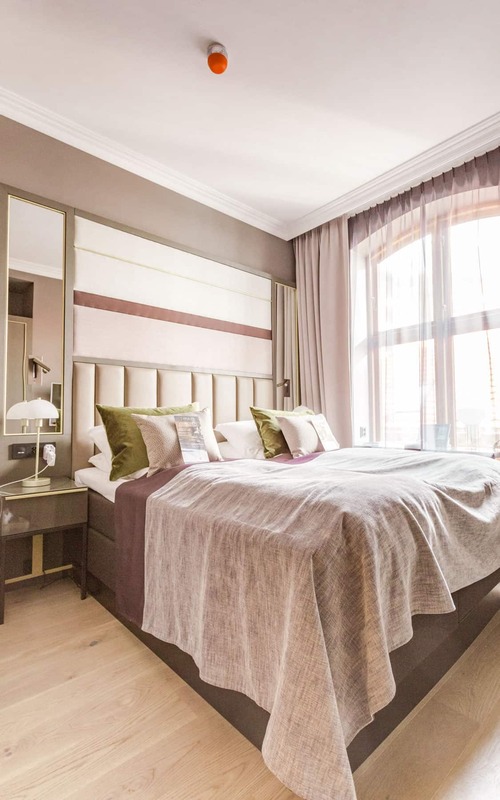 Also, if you want a luxurious place to stay during your time in Bergen (and a non-chain hotel), I’d suggest staying here as well. 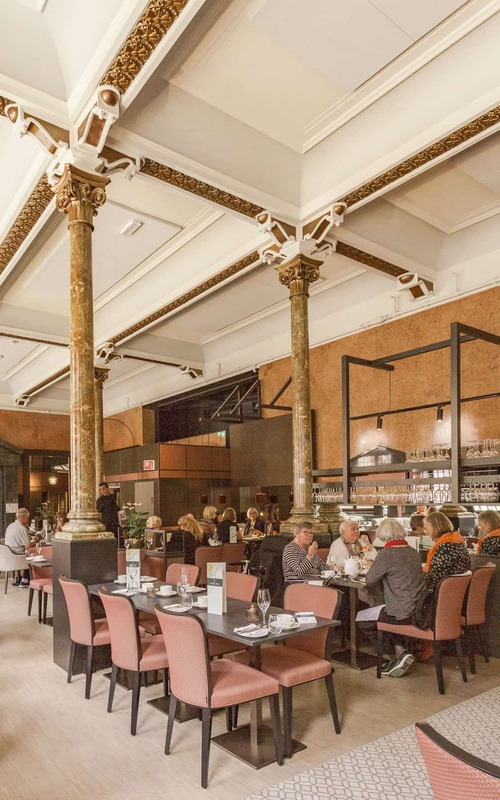 While the dining area has preserved all of the original pillars and architecture, the rooms have been updated and are modern and sleek. The staff is top-notch and breakfast was so good! All around a 5 star experience. 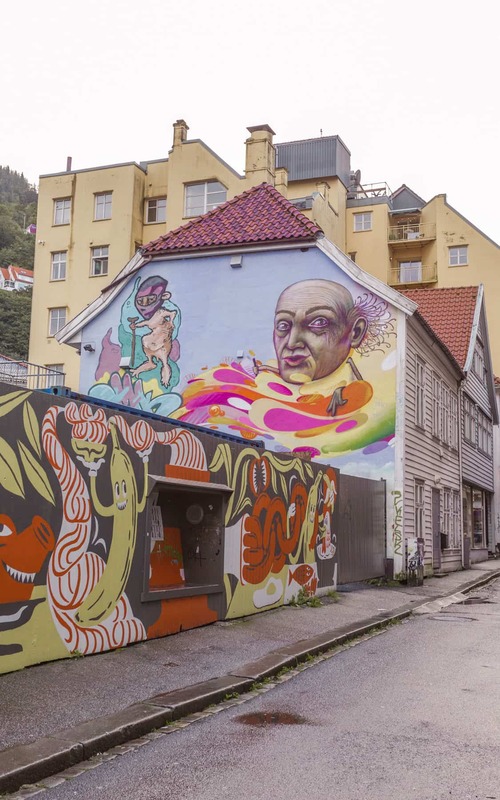 Fløibanen – The Fløibanen building is the hub for grabbing tickets to take the funicular to the top of Bergen where you have the best views over the city. BUT before you take the funicular up, walk to the left (uphill a bit) and take the stairs. 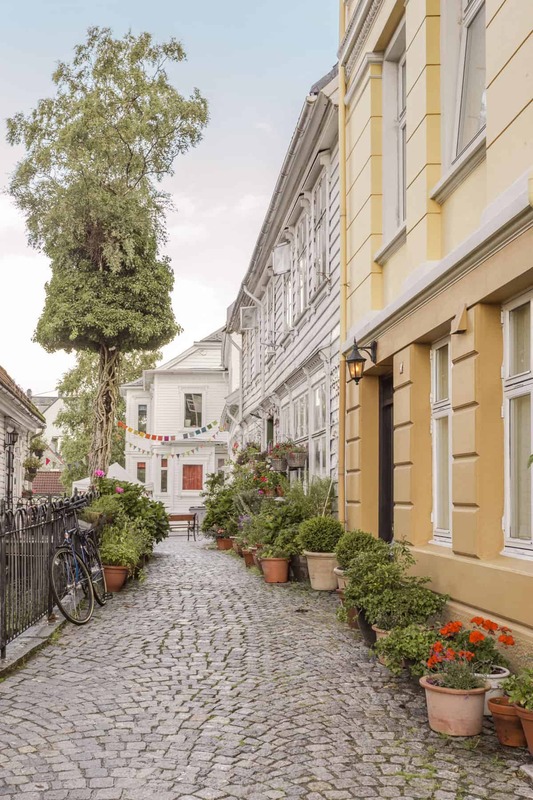 You’ll see the most photogenic street to your left with colorful houses, greenery and the solitude you need to capture your perfect photo. 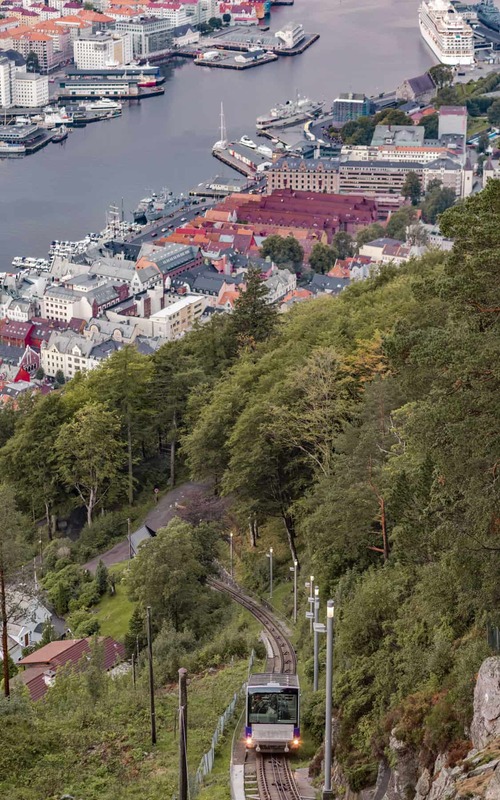 View from top – The funicular to Mount Fløyen is 100% worth it, even though it is a tourist attraction. I wasn’t sure what to expect but the views over the city with the mountains in the background are gorgeous. I’d recommend timing your trip up for sunset, especially if you’re experiencing clear weather. We had a little bit of misting but the sky was so dramatic that it was a beautiful way to see the sun set. 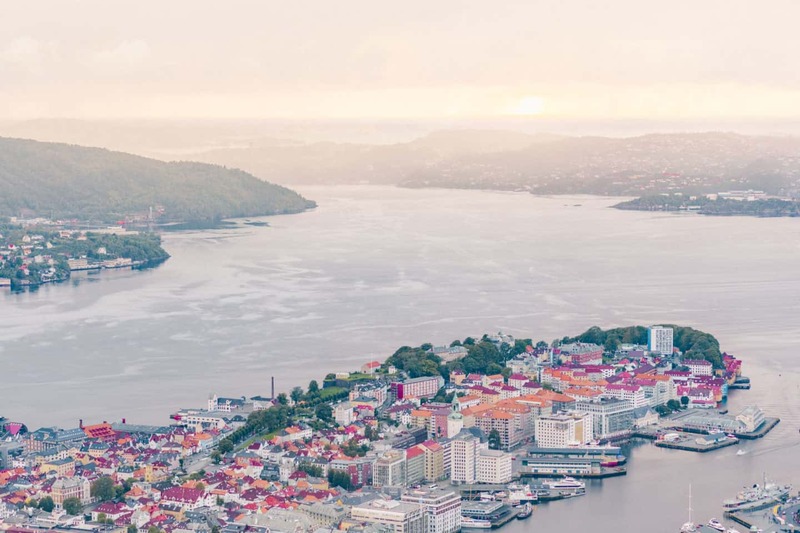 If you have a full day to spare, come early in the morning and spend the day on Mount Fløyen. 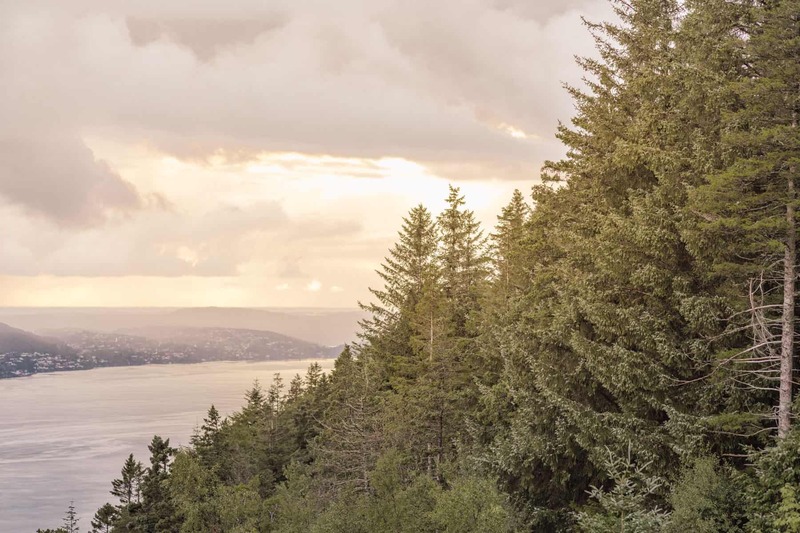 There are a myriad of activities to keep you occupied including a climbing area, kayaks, hiking, etc. Then make sure you’re finished in time for sunset. I also suggest walking one of the ways; you can opt to buy a one-way ticket on the funicular and walk back down. This allows you to enjoy a pretty walk that you wouldn’t have the chance of experiencing otherwise. 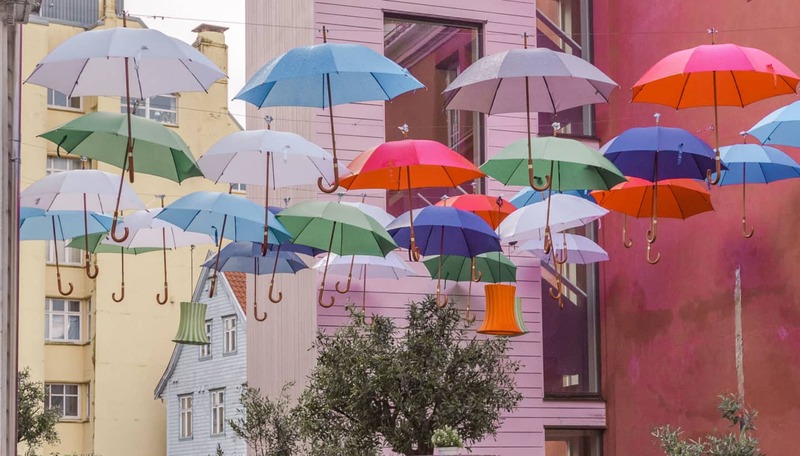 Artwork (Umbrella installation & Murals) – Bergen has quite a few art installations; one is this umbrella installation that actually was created for the restaurant it sits overtop. It’s a super cute spot to photograph. If you wander past and down some of the surrounding streets, you’ll encounter more artwork and murals like this crazy one. 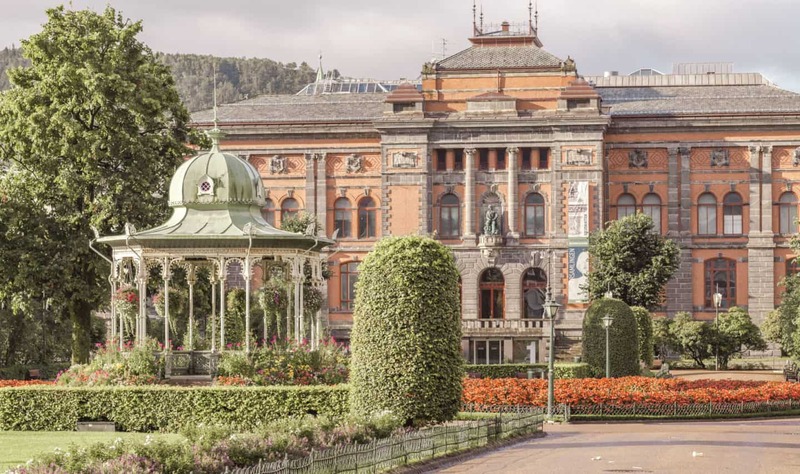 Byparken – This small park is a cute spot if you’re looking for greenery and gazebos. The architecture is unique and there are plenty of flowers to shoot. You can sit and enjoy some quiet on a bench if you prefer. 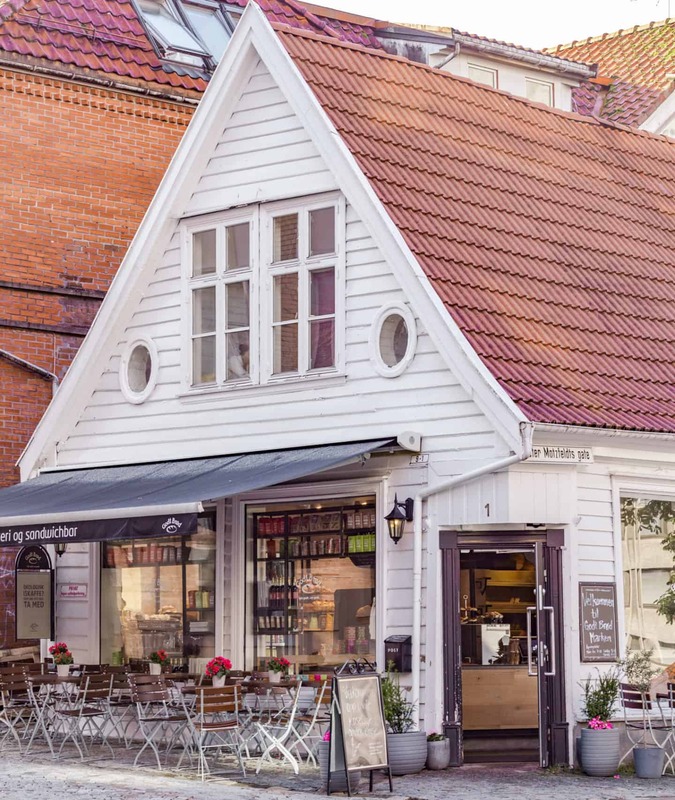 Coffee shops – Bergen does not have a shortage of coffee shops and besides offering delicious treats and coffee, they are cute places for photos. 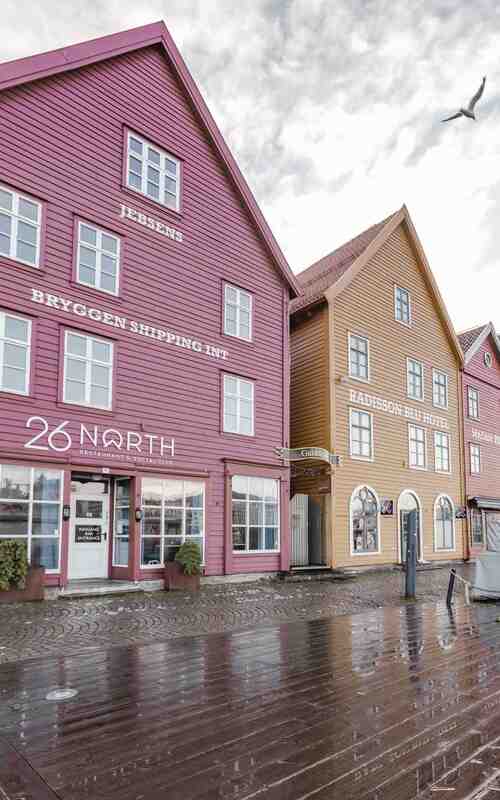 I thought both of these looked adorable; the second shop is located in the Bryggen!